Last year at this time we were packing up for our departure to Newfoundland for a month. 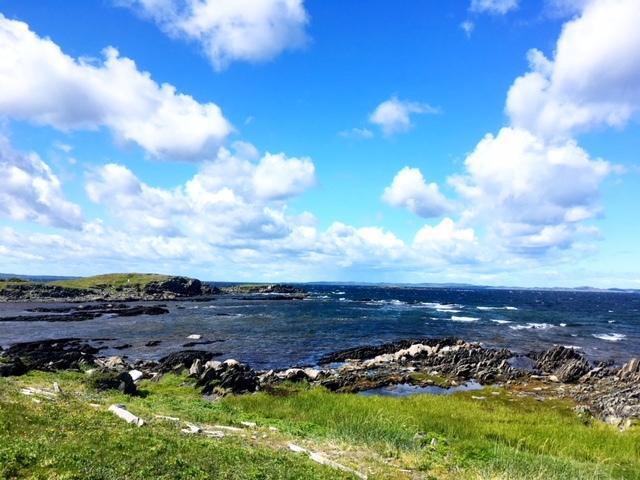 We'd rented a house on Change Islands, adjacent to Fogo Island off the northeast coast of the province, next stop Ireland. 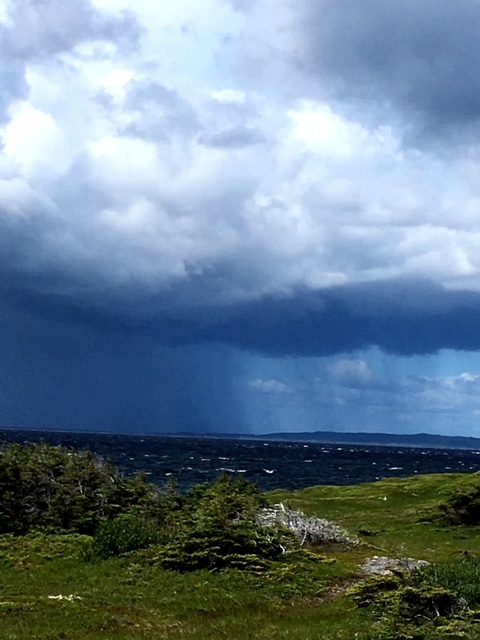 It proved to be a wonderful few weeks during which we never left Change Islands except for some excursions to nearby Fogo. We paddled out to icebergs and even smaller islands in our kayaks and explored both formal and informal trails. With all our exploring we seldom encountered another human being, yet there were moments when we were deeply aware of those who had gone before us in that place. One day near the end of our stay I walked along a coastal path which was once the road to the main community from a cluster of houses which no longer exist at what is called Woody Island Tickle. Older people we know once lived there in the summer and eked out a living in the fishery. At one point Ruth paused to explore a pebble beach and I strolled further. I was overwhelmed in the moment by a sense of the pre-European peoples who came to these islands in the summer months to fish and pick berries. They crossed dangerous waters to their seasonal camps for generations. 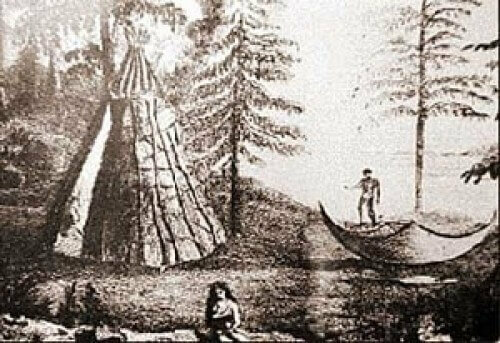 Some were Beothuks, the Native people at the time of contact who were eventually wiped out by the Europeans. 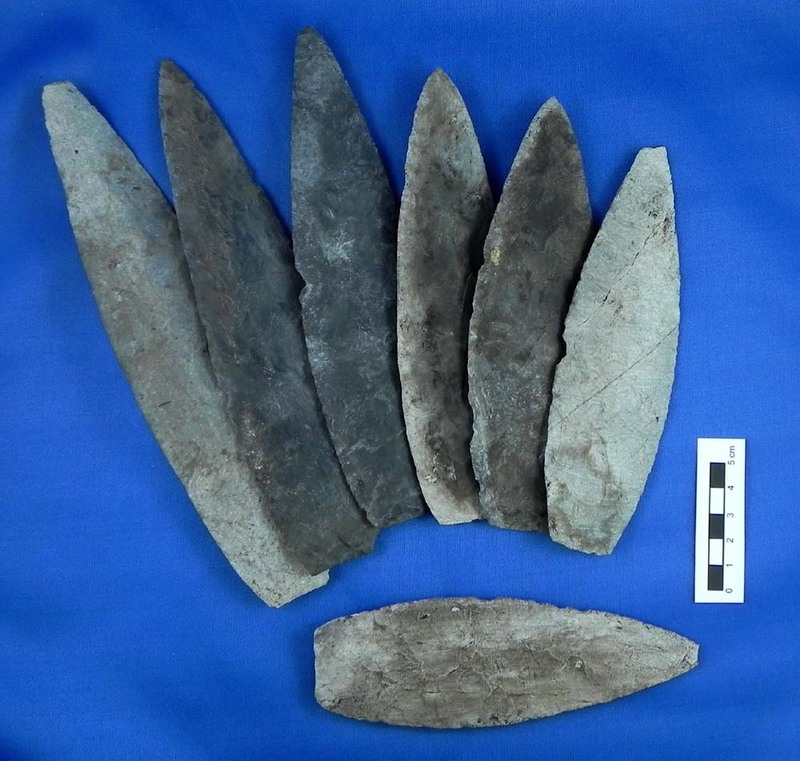 Before them were the Paleo-Eskimo people whose forays left behind spear tips which were found quite by accident by others we know on Change Islands. Today, on Indigenous Peoples Day, I recall what was a spiritual experience of the "cloud of witnesses" in that rugged, ravishingly beautiful landscape. I mourn the extinction of a culture by those who eventually built churches and worshiped the Prince of Peace without a sense of contradiction. I admire the determination of those who arrived from Europe and established communities which are still in evidence, despite decline. I can't forget those who were here when they came and deserved a better fate.